If you love outdoor adventures in Páramo, you’ll love the Páramo Points Loyalty Card available at all Páramo Brand Stores. Earn 10 points for every £1 – a 10% bonus – you spend and make your adventures even more rewarding. Just show your card every time you shop at the Páramo Brand Stores and we’ll add your points to your account. The more Páramo Points you earn, the more Páramo rewards you’ll be able to claim. We plan to contact you twice a year detailing the value of the Páramo Points you have accrued that you can spend on Páramo and Nikwax in any of the Páramo Brand Stores. How else do you benefit? Simply ask instore at any of the Páramo Brand Stores and you can join right away – and you start earning points as soon as you’ve signed up, you can even take your new card away with you. If you have a question about obtaining or using your Páramo Points Loyalty Card simply contact Páramo Customer Services (01892 786444) or one of the Brand Stores. 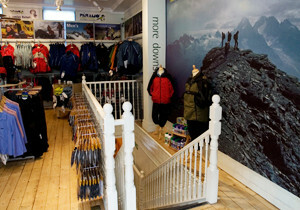 Páramo Directional Clothing Systems (‘Páramo’) is offering a loyalty card with a view to offering more value to its customers at designated Páramo stores (the ‘Scheme’). 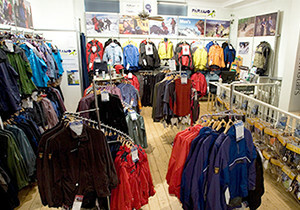 The Scheme is operated and promoted by Páramo Directional Clothing Systems, Unit F, Durgates Industrial Estate, Wadhurst, TN5 6DF. The Páramo Points Loyalty Card (the ‘Card’) is issued by and remains the property of Páramo. The Scheme is free of charge to all persons who purchase Páramo (and other designated brands at the discretion of Páramo) in designated Páramo stores – currently the Páramo stores noted here. Páramo reserves the right to alter the products included or excluded from the Scheme or to change the number of participating shops at any time. Your Card can only be used at designated Páramo stores and at such other third party/ partner outlets that may be part of the Scheme (as notified to you by Páramo from time to time). To apply for a Card and take advantage of the Scheme you must be aged 16 years or over. Your name, address or email address, and signature must be provided for a Card to be valid. Your Card cannot be used as a credit card or a guarantee card. The Scheme is only for consumer use. The Card cannot be used for any transaction where the beneficiary is a business entity. The Card can only be used by the person whose signature is on the Card. Neither the Card nor the points thereon are transferable to other Cardholders. If you breach these terms and conditions, or if Páramo reasonably believes that you have breached these terms and/or abused the Scheme, a card may be terminated without prior notice. Páramo reserves the right to take any action deemed necessary where a Cardholder is found to have abused the Scheme. In addition to point 10 above, Páramo reserves the right to (i) stop issuing Cards at any time; (ii) on notice to alter or amend the terms and conditions of operation of the Card and/or Scheme; and (iii) on notice withdraw or cancel the Cards and/or the points (including the redemption and issue of such) and/or terminate the Scheme. A Cardholder may terminate his/her involvement in the Scheme and cancel his/her Card at any time. Páramo will notify Cardholders of any changes to these terms and conditions by informing the Cardholder at their registered email (or postal) address. 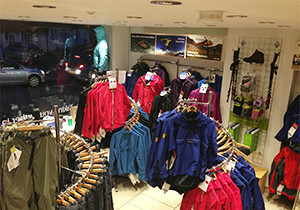 The revised terms will also be available in all participating Páramo shops and at www.paramo.co.uk/paramopoints. To collect points for a transaction in store, Cardholders must present their Card at the till at the time of purchase. Cardholders cannot claim points on purchases made before they joined the Scheme. Points will be awarded on Páramo goods (and other designated brands at the discretion of Páramo) bought in participating Páramo shops, with the exception of gift vouchers. 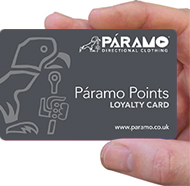 If a discounted price is offered for an item or to a particular customer (for example members of certain organisations), the customer may be asked to elect whether to receive Páramo points on that transaction or to receive the cash discount. Páramo reserve the right to offer bonus points on certain products as selected by Páramo from time to time at its sole discretion. Cardholders will receive points on qualifying transactions. In the UK, points are awarded at a rate of 10 points for every £1.00 spent or a pro rata amount rounded up to the nearest point (this represents a 10% reward accrued as points). This can be altered at the discretion of Páramo and the number of points issued may vary between qualifying purchases at certain times. Points will usually be loaded on to a Card instantly, except in circumstances of system downtime or failure when it is expected that points will be loaded within 24 hours. In most circumstances any bonus points earned will be loaded onto the Card 72 hours after the date the goods are purchased. Points cannot be redeemed until loaded on to the Card. Points have no cash redemption value and cannot be exchanged, sold or transferred. If overpayment is made using points, no change or credit will be given. Páramo will reverse the associated points earned or redeemed if a transaction on which points are earned or redeemed is cancelled or reversed or when a product is returned (in accordance with Páramo’s Returns Policy). The Cardholder must present their Card to sales staff so that the points awarded can be debited from or credited to the Card for the product being returned. Points will be removed at the same value as accrued for all Páramo goods returned/ refunded. Páramo will contact the Cardholder at least twice a year by email or post when the value of points accrued is in excess of £5. Any points not included in the vouchers issued will be rolled over into the next 6 months accrual period. The Cardholder will receive details of how and where to redeem the value of the points received and informed if there is an expiry date on their redemption. This value can then be used to give money off Páramo or Nikwax purchased from any of the Brand Stores. The Cardholder will be expected to produce their valid card or quote details from the Card in any correspondence about the Card or when redeeming points. Chosen items can be collected free from designated Páramo stores or delivered to the Cardholder’s chosen address for a small additional charge. It is important that your contact details are kept up to date in order that Páramo can operate the Scheme effectively for your benefit. Please alert Páramo to any change in details via one of the Páramo Brand Stores, the Páramo website or by phoning our Customer Services on 01892 786444. If your Card is lost, stolen or, for whatever reason, not working, you should contact Páramo Customer Services by telephoning 01892 786444 between 9.00am and 5.30pm, Monday to Friday or by notifying a member of staff at one of the Páramo Brand Stores. Páramo cannot be held liable for lost, stolen or damaged Cards, or any points accrued on or redeemed from the Card without your knowledge. Páramo reserves the right not to issue a replacement Card. The Scheme can be used in conjunction with other discounts or promotions, but Páramo reserve the right to withdraw this at any time. If any point in these terms and conditions is held to be invalid in whole or in part, that part shall be deleted and the validity of the remaining terms shall not be affected.